Six words I hate to hear, let alone write. They pain me like a red hot poker piercing my eyeball. A dagger through my heart that rips out my soul at the same time. For those of you not familiar with the sentence let me explain. Television commentator Brian Moore uttered those words in the dying seconds of the last football match of the season between Liverpool and Arsenal on May 26th 1989. I never heard him say it at the time because I was at Anfield watching with my own eyes. Liverpool should have won the title that season. It was the year of the appalling Hillsborough football disaster in which 96 Liverpool fans wastefully lost their lives. The season had been delayed after the atrocities in Sheffield the month before and this was the final game. Arsenal needed to come to Anfield and win by two clear goals. No chance. Was never going to happen. Shouldn’t have happened, but guess what? It did. Liverpool never recovered from that night and it’s only now, some 20 years later, they have a team who are serious title contenders. Arsenal on the other hand were a team on the up. A few years later they appointed a French coach by the name of Arsene Wenger who created an invincible dynasty. They played some fabulous football with the likes of Henry, Bergkamp, Vierra and Petit. They really were a joy to watch. Despite the pain of 1989, I like Arsenal. And even though it was the right decision when Wenger stepped down last season I do miss him in the Premier League. At the beginning of this season I didn’t expect much from Arsenal when Unai Emery took over but the Spaniard seems to be heading on the right path. They have won their last 10 games and are slowly looking like title contenders and I’m sure my Arsenal-supporting friends are buzzing now. But they should stop and think. Isn’t this just Arsenal all over? For the last few years they have started well, fans get very excited and then it all comes crashing down around about Christmas. Will that happen again this season? Only time will tell. The so called Ozil problem seems to be solved and they are destroying teams on a weekly basis. But sorry to be the barer of bad news, they haven’t really played anyone so far this season. They started the campaign against Chelsea, who beat them, and since then have played no real team of note. In a few weeks they face Liverpool. Then, a fortnight after that, play Tottenham and United back to back. After that we will see if they possess the mettle to be serious title contenders. I don’t know if they will. Throw into the mix the Europa League and the matches will soon be coming thick and fast. I don’t really think they have the squad to sustain a serious run at the title and to do so they are going to have to splash the cash in the January transfer window. 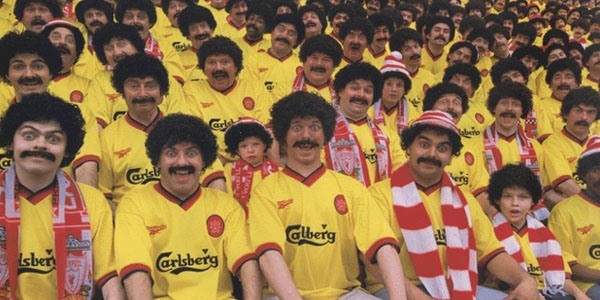 So for now, in the words of a true Liverpudlian, I think Arsenal supporters need to calm down. As the popular band from the 1980s said in a song, they need to relax. Their fans right now may be feeling higher than a drug addict on giro day but come the tricky Christmas period they could have the wind swept from their sails. That said, they are going in the right direction. A good cup run possibly and a foundation to build for next season, but actually winning the league is a stretch too far in my humble opinion.